It is always good practice to remain upbeat and point out the positive features of a property, even in the most dire of situations. 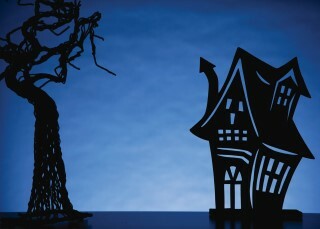 Let’s celebrate this rare October, Friday the 13th by taking a closer look at the dark side of real estate . . . if you dare! Not all homes for sale are “move in ready”, some will require a bit more vision (and shoe covers). There are local agents who have arrived at a home only to discover the entire main level of the home has been used for livestock and each room used as a stall, with knee-deep hay and sawdust. We may enter vacant homes during showings, where it is certainly possible to stumble onto an “encampment” or “squatters” (sans running water and electricity). One property my buyer client purchased was just the shell of a home which had been lost to arson (vacant, no injuries) and at least once, my buyers and I have stopped at the entry unable to step inside and go any further due to the strong smells. Don't let your buying or selling decisions haunt you to the grave. “Was this place a meth lab?”, “Is the house haunted?” or “Was someone murdered in this house?” A good buyer agent can help you to navigate these concerns as well as any black cats in your path, or other unlucky scenarios you may face. Some seller’s feel comfortable with their listing agency hosting a public Open House to market their property, to gain exposure and feedback; while others prefer to only schedule private showings. For more expensive properties, a Broker Only Tour may be hosted instead of a public Open House. If you have decided to hold an Open House, taking a few precautions before and after can help to assure your safety, as well as the safety of your property. Remove any calendars or schedules which are visible so visitors cannot see when you will not be home. Make sure any keys, garage door openers or other items providing access are in a safe place. Obviously, medications should be with you and not left at the home. Valuable jewelry should be hidden or locked away and any firearms locked in a safe or removed. After you return home, it is important that you to check your doors and windows to make sure they have not intentionally been left unlocked for future access. Being a Realtor® may appear to be a glamorous job at times, but it is considered a high-risk occupation. September was National Realtor® Safety Awareness Month and a time for us to reflect on and update our emergency plans. The nature of our work requires us to meet with people we do not personally know in sometimes vacant or remote locations; or we may find ourselves in expansive underground basements which seem to cover a city block. In the 2015 National Association of Realtors® Member Safety Report, 40 percent of agents responded that they “had experienced a situation which made them fear for their personal safety or safety of their personal information”. 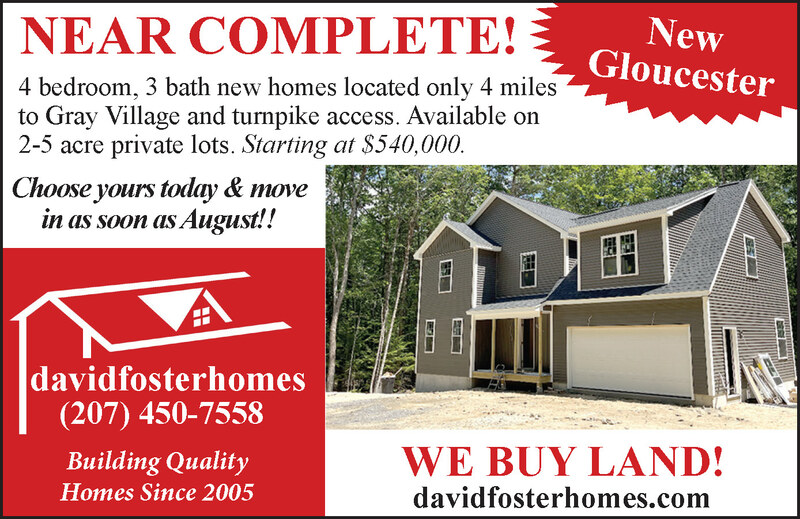 This past February a safety alert was shared by the Greater Portland Board of Realtors® and another again in August, that stated not much can really be done, other than to spread awareness and to be on your toes since odd behavior and lude comments are not a crime. In 1981 a real estate agent was abducted from showing a listed property and murdered, right here in Cumberland County. All fun aside; what scares me the most is that the living conditions some of the adults and children in our own community are living in, are so appalling and are happening in our midst each day all around us, which no one sees . . . like ghosts. Nicole Foster is a Broker with eleven years of experience; specializing in residential, single family and new construction and resides in Windham with her husband and four children.